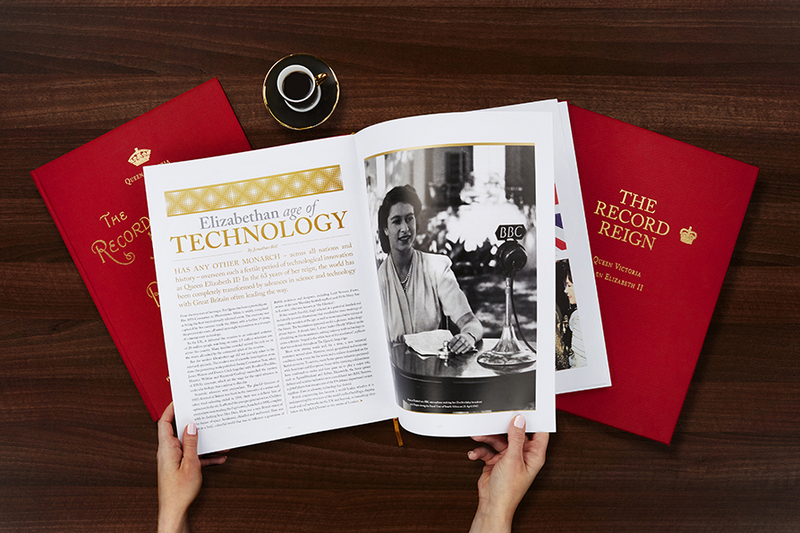 To mark the occasion of Queen Elizabeth becoming the UK’s longest reigning monarch, Illustrated London News Ltd has published this beautiful, limited edition two book set, exploring the lives of Elizabeth II and Victoria, documenting Britain’s evolution under their reigns, from Empire to Commonwealth, steam trains to space travel. 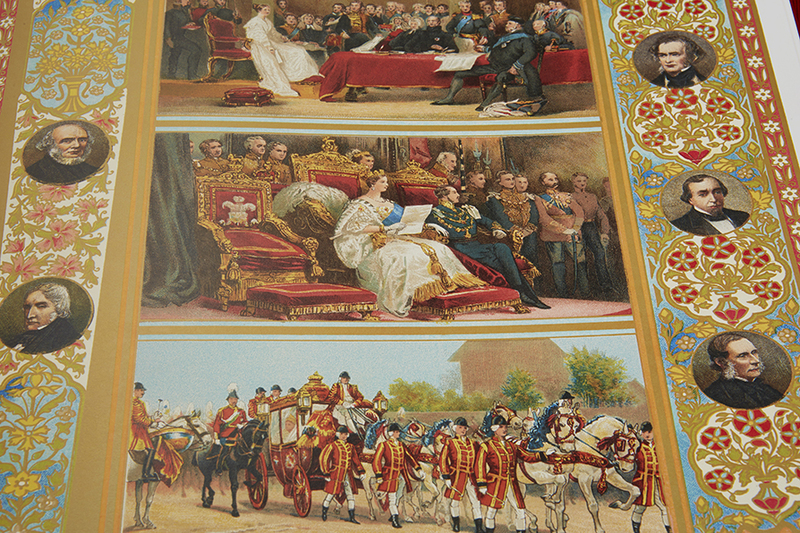 In 1897, Illustrated London News paid tribute to Victoria’s era-defining monarchy with The Record Number of a Record Reign. 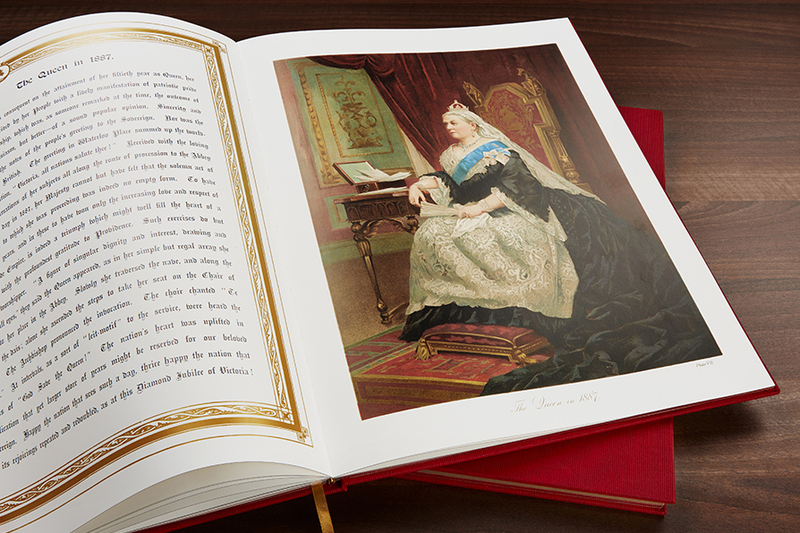 This commemorative publication honoured Queen Victoria’s reign and the grand accomplishments of Victorian Britain. 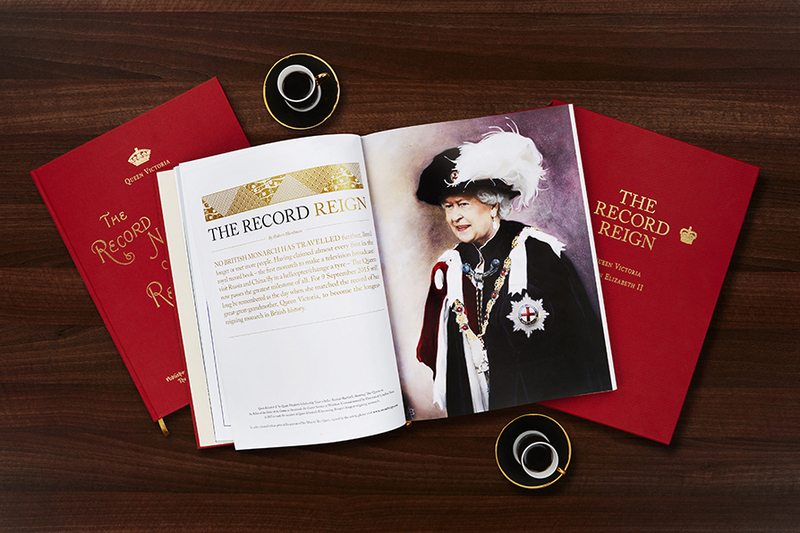 Regarded as the Illustrated London News’ most lavish publication, no expense has been spared in meticulously reproducing this extraordinary historic record. 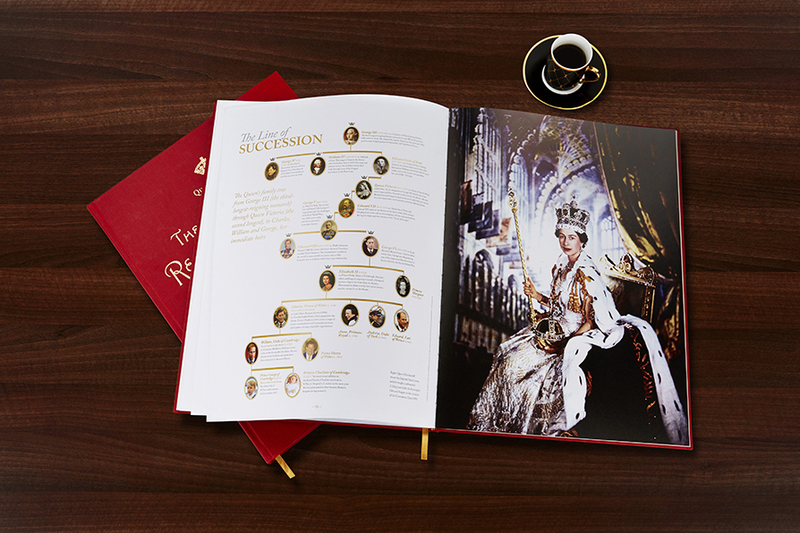 This new volume celebrates Queen Elizabeth’s extraordinary time on the throne. 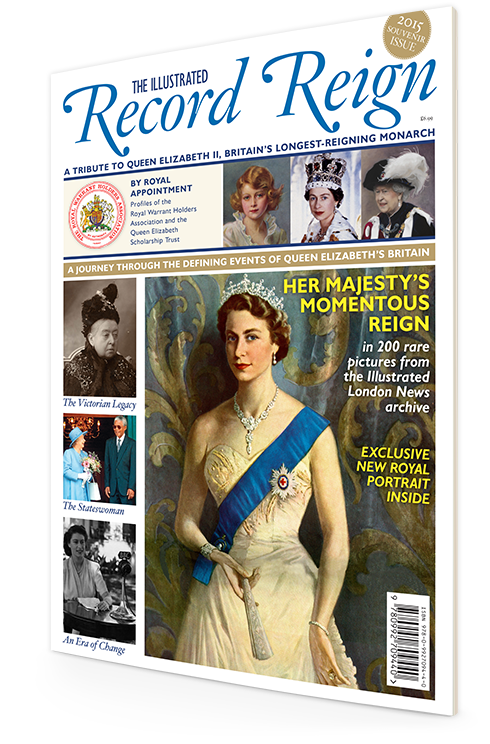 With thoughtful editorial and unseen archival images, it reflects on the evolution of Britain and the monarchy since 1952. 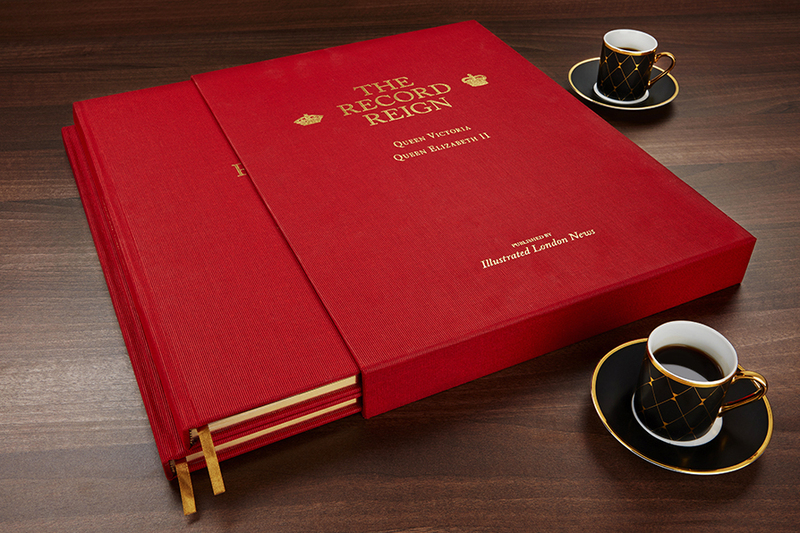 The Record Reign book set was formally presented to Her Majesty The Queen on 9 September 2015, the day she became Britain’s longest-reigning monarch. In 1897, printing methods were very different from what they are today. 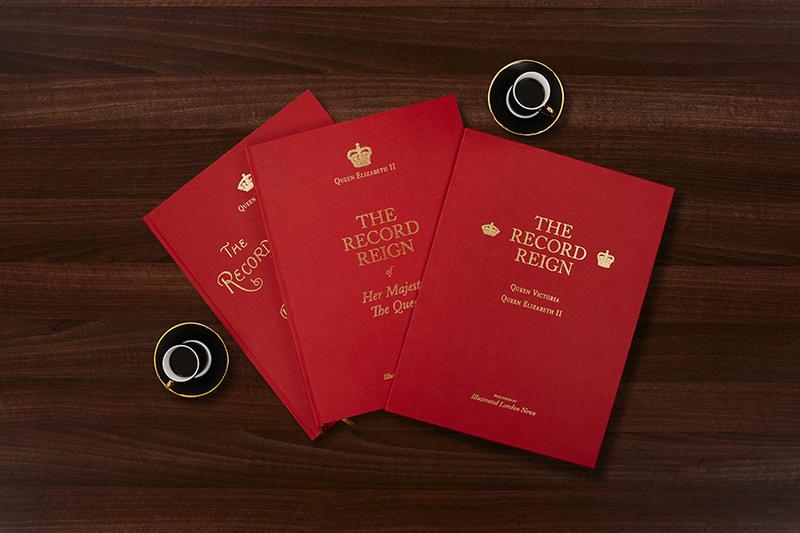 The original Record Number of a Record Reign book was produced using at least two different printing methods (letter press & chromolithography) and more than the standard 4 colour inks used today. 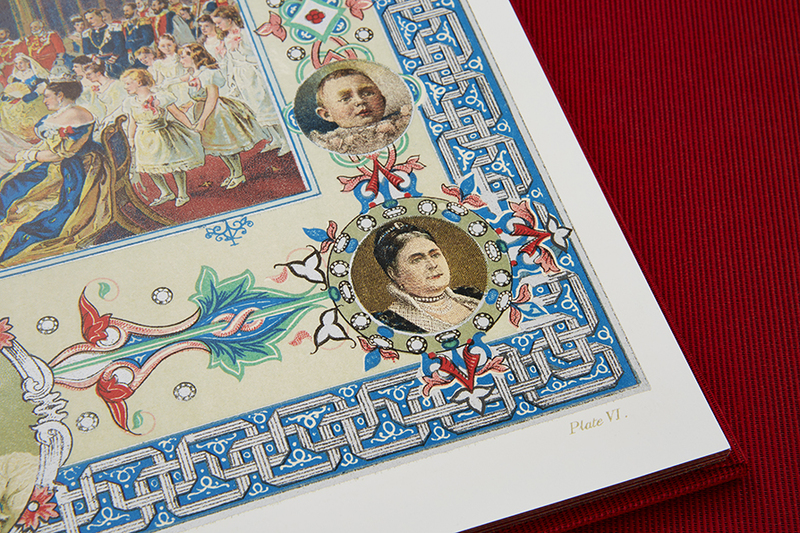 The vibrancy of its printed pages is apparent for all to see, though replicating them using today’s printing methods required painstaking retouching. 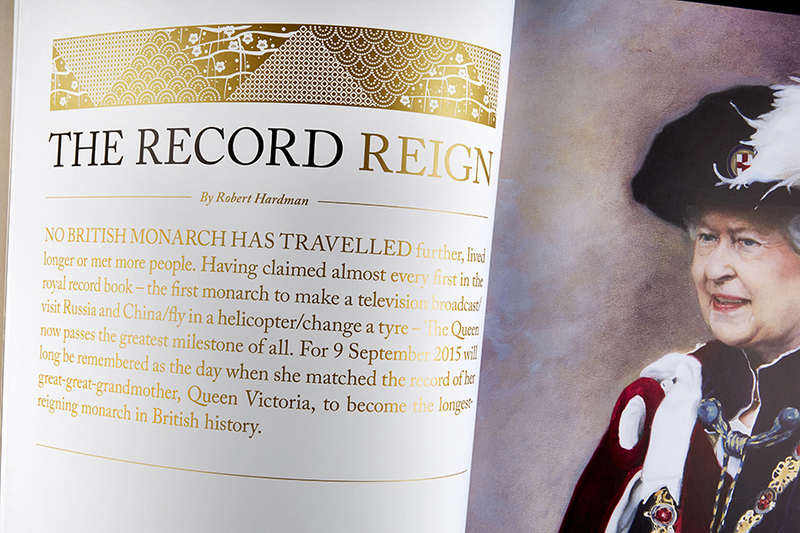 A bespoke CMYK printing curve with a wider colour gamut than standard CMYK was used. 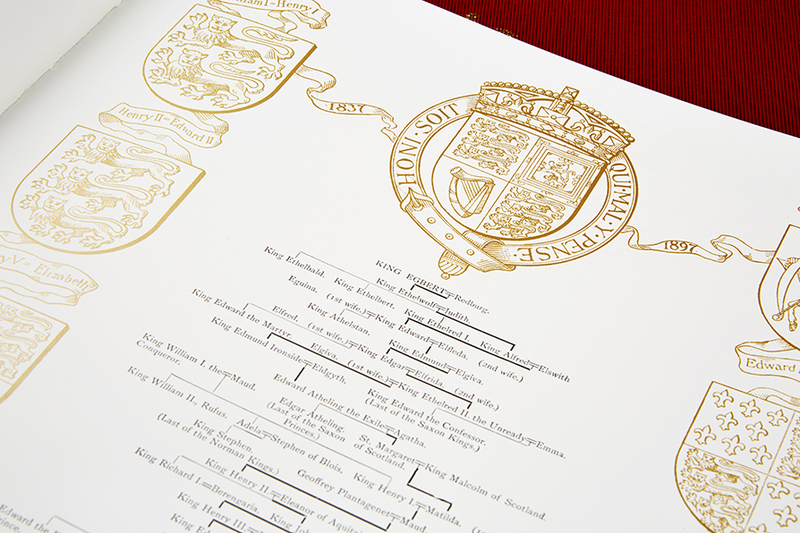 Further to avoid the use of coating, which undermines colour vibrancy, hard drying inks were employed. 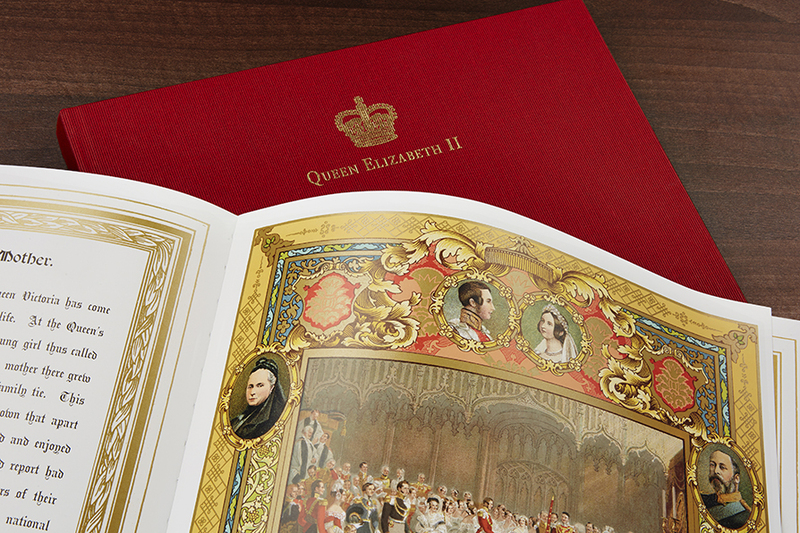 In some cases we have also printed a 5th colour to give some of the images an extra lift. 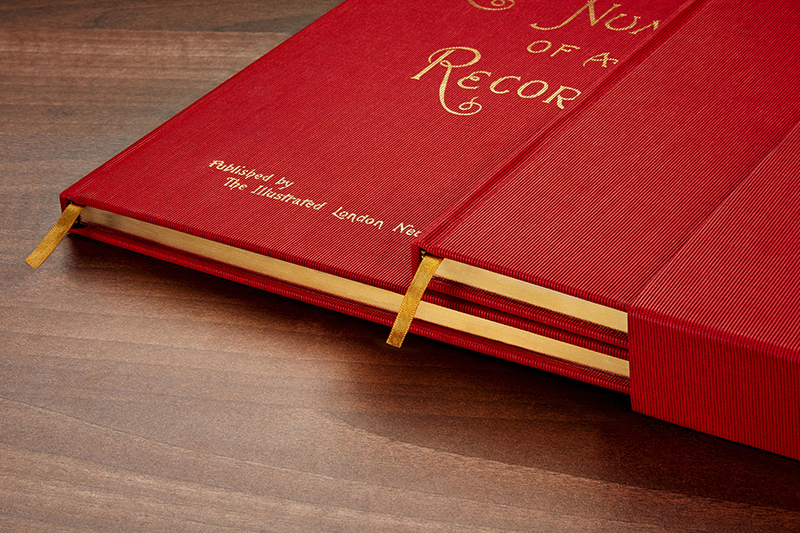 Sourcing the correct paper to print the books on has also been a challenge. 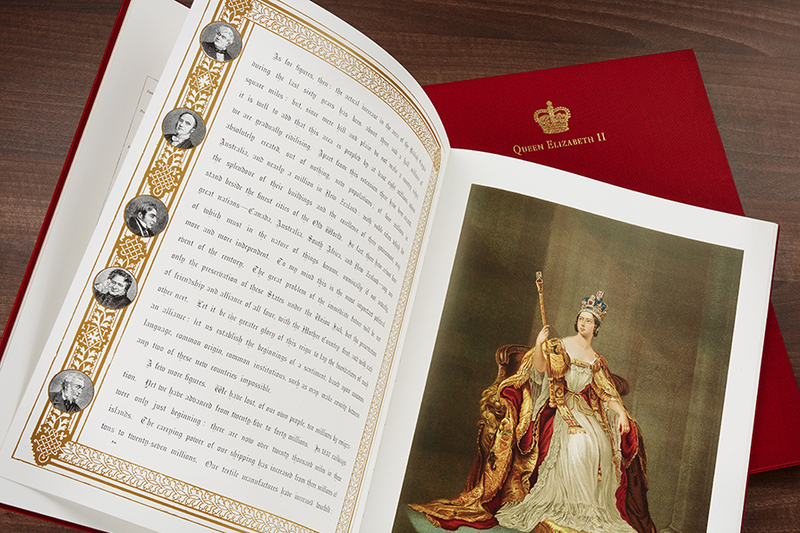 The original book was printed on a heavy matt board, which has a slight coating providing colour lift for the printing process. 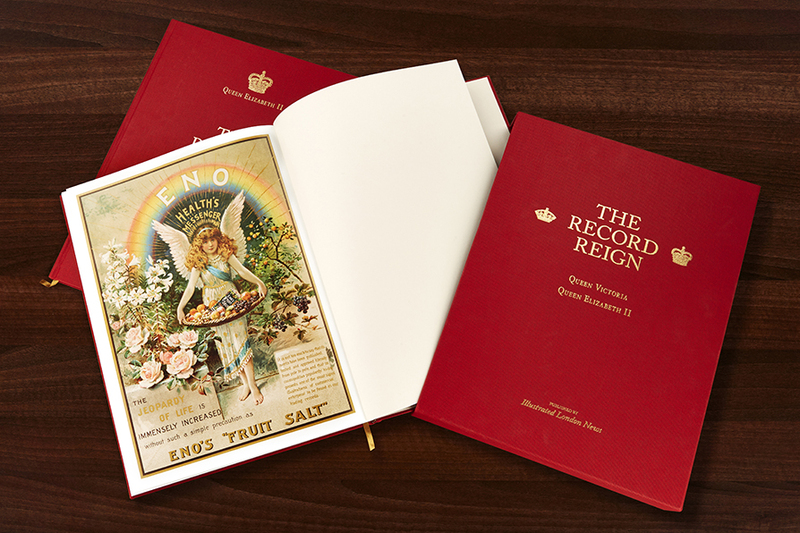 The selected premium paper is 250gsm Phoenix Motion Xantur (QV) & Xenon (QEII) supplied by GF Smith who have been supplying specialist art and craft paper to the creative industries for 130 years. 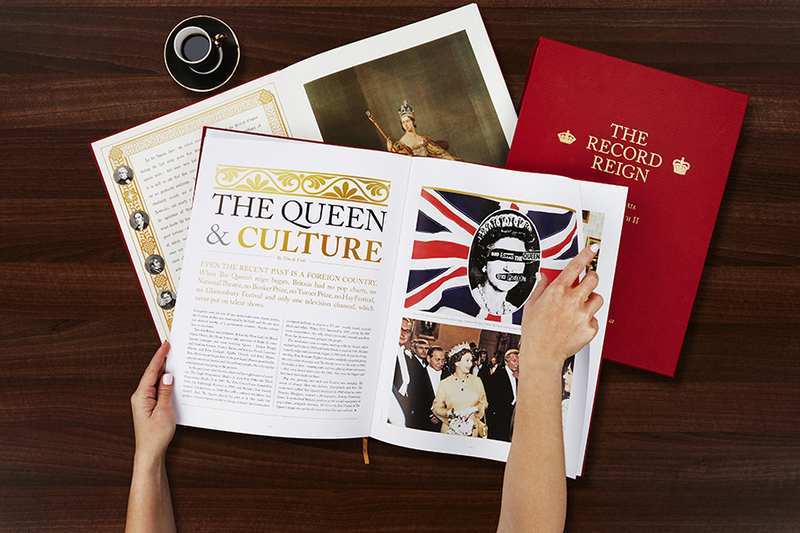 With entertaining vignettes, selected extracts from the book set and insights into the reign of both queens, The bookazine is a high quality and popular historical account of Her Majesty Queen Elizabeth II’s reign and the extraordinary legacy left by her great-great-grandmother.